مقداری که به هر پارتیشن اختصاص میدید کاملا سلیقه ایه. می تونید کل فضا رو به 2 یا 3 قسمت مساوی تقسیم کنید. If you don’t have My Computer on your desktop, it should be located in your Start Menu. You can also find Computer Management in the Control Panel under Administrative Tools. When Computer Management opens, it will have two panes. On the left pane, there will be a list of items. Under Storage, click on Disk Management. This will load a right pane with 2 windows on the right side. You may need to maximize the Computer Management window to see all your drives. In the lower right pane, you should see a graphical list of all available drives or devices. 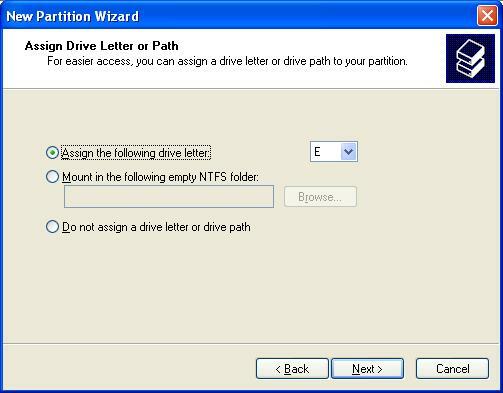 Find the drive listing that corresponds to the drive that you want to partition and format. It typically has a black bar indicating unallocated space. If there is a blue bar, then the drive has already been partitioned and formatted. Make sure, that if you have data on the drive, you back it up before proceeding. 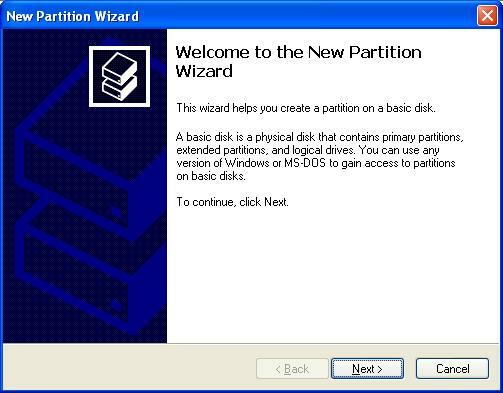 Once you are ready to proceed, right-click on the blue bar and choose Delete Partition... You will get a pop-up window asking you if you really want to delete the partition. Click Yes. The bar should now be black. If you would like to create multiple partitions on the drive, you can type in the amount in megabytes you want for the Primary Partition, and it will partition and format only that amount. For example, if you have a 500 GB hard drive and you want to split the drive into two partitions, you could type in 250000 (for 250 GB's) in the Partition size in MB area. 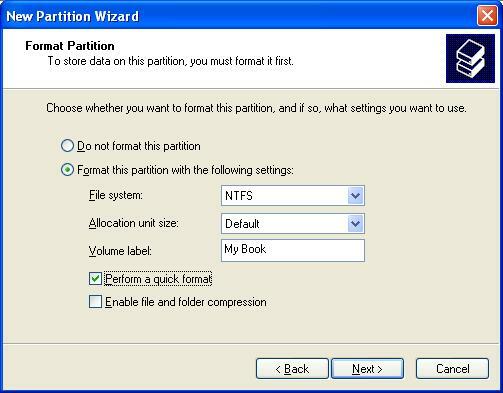 Once you finish formatting this first partition, you will need to go back and follow all these steps again to partition and format the left-over unallocated area of the drive. 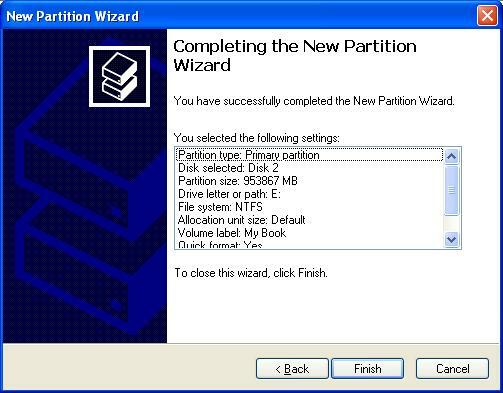 The next time around, however, you will need to choose Extended Partion when you come to the Select Partition Type window. (Look at previous step.) Remember, to change or add partitions, will destroy any data on the drive. So, be sure to plan out ahead how many and what size partitions you want before creating them.